Every order will receive a 12"x12" Erroll Garner Poster FREE! The legendary Erroll Garner’s Concert By The Sea was one of the biggest selling albums in jazz and popular music when it was first released in 1956 and continues to this day to be one of the biggest albums ever in jazz. The historic 1955 concert recording, originally produced by George Avakian, featured the award-winning line-up of Erroll Garner on piano, Eddie Calhoun on upright bass and Denzil DeCosta on drums. Erroll’s mighty power trio undoubtedly performed one of the most intriguing concerts of the time for the super enthusiastic Carmel, California audience. Featuring a plethora of classic Garner interpretations of Sammy Cahn’s Teach Me Tonight, Rogers & Hart’s Where or When and the crowd stunning Johnny Mercer Autumn Leaves, Concert By The Sea was truly an artistic achievement which has truly stood the test of time. It’s been several decades since the rare original vinyl version of Concert By The Sea has been available…that is until now! 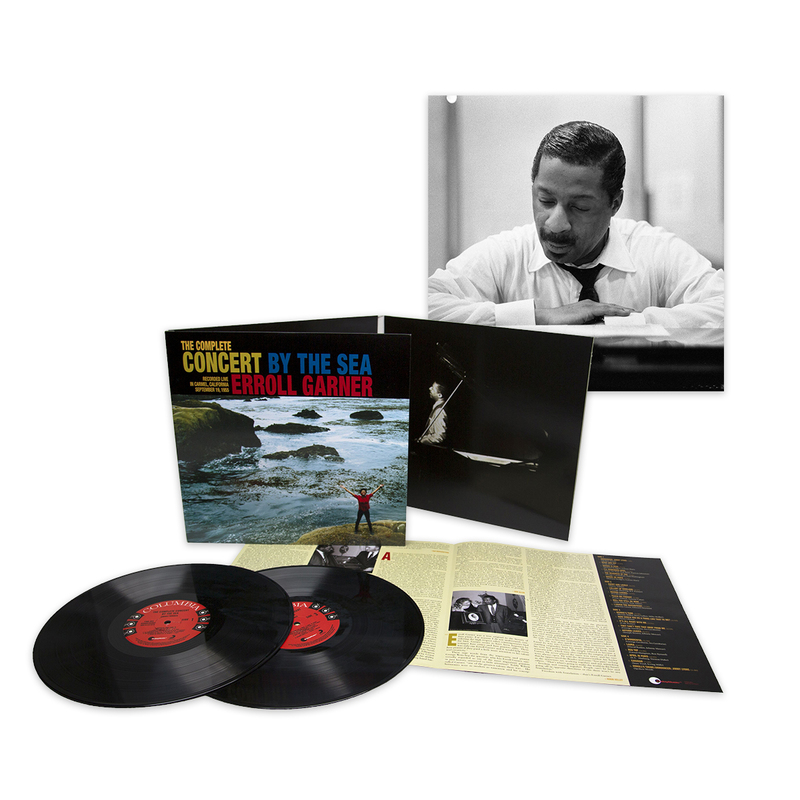 Friday Music is very honored to offer for the first time 180 Gram Audiophile Vinyl, the deluxe 2016 Grammy nominated version of Erroll Garner’s timeless classic The Complete Concert By The Sea. This exclusive reissue produced for Friday Music vinyl features the entire concert, completely restored and remastered impeccably, with over a dozen newly discovered performances including the lively concert Cole Porter opener Night And Day, the stunning rendition of I Cover The Waterfront and the brilliant album closer of the classic Caravan. For this special limited edition, The Complete Concert By The Sea will be presented on 2 audiophile vinyl Lp’s, featuring a stunning first time tri-fold cover including newly discovered photos of Erroll Garner from the September 1955 performance and a colorful insert with appreciations and new liners from Dan Morgenstern.